We begin by creating a simple line series and a chart object. First we customize the series and the chart's title and background. Then we customize the axes. Then the axis label values and ranges. Once the axes are ready, we set them to be used by the chart. Finally, we create a view containing the chart. 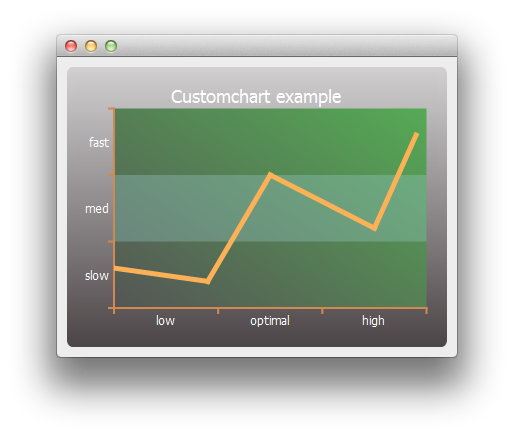 Now we are ready to show the chart on a main window.